Workboats, RIBS, Safety Boats, etc. You can go directly to each Section by clicking on the heading above. Adverts that have been on the site for more than 6 months will be removed. Please notify classifieds@fyca.org.uk as soon as the advert is no longer required. 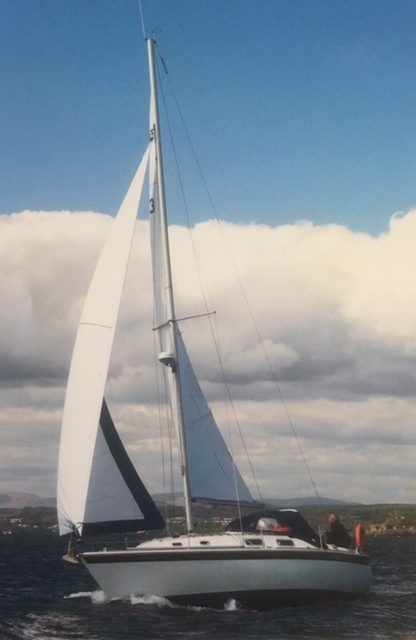 This is a unique staysail schooner built by Seasteal UK at Beccles Suffolk to a design by Bruce Roberts. 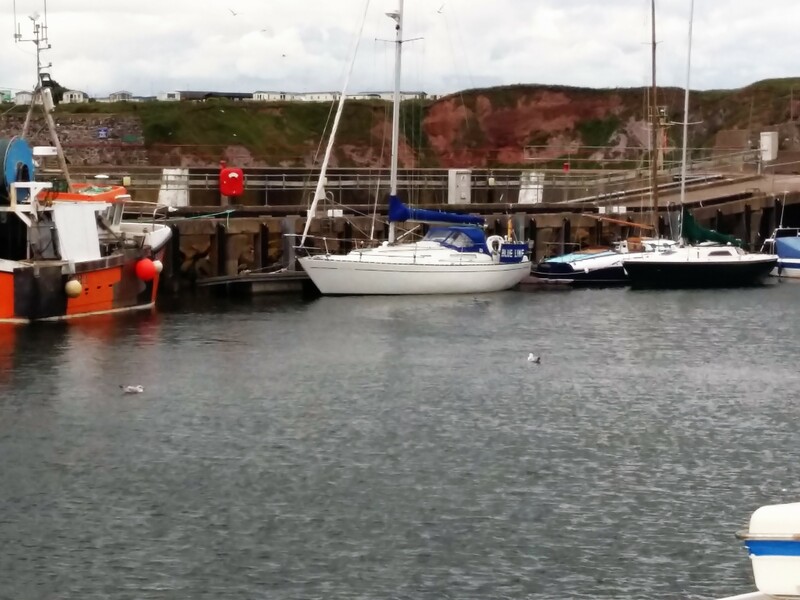 First launched in June 1997 and sailed at North Berwick for 6 years, and 11 years at Fisherow Harbour. She has two furling sails that make her easy to sail single handed. She has two berths with sink and spirit cooker with space for a chemical toilet. Equipment, VHF, FM Radio, compass, echo sounder, log, twin batteries, and electric bilge pump. Engine Volvo diesel MD 2020 three cylinder. Also included, bosun's chair, rope ladder, 4 lifejackets, tender and oars, anchor, fenders, boathook, 2x20 litre diesel tanks. Morag is ready to transport on a custom built trailer. on four wheel road trailer, with new tyres. Bermudan rigged with a Perkins Perama 20HP diesel engine driving two propellers by hydraulic transmission. All in very good condition and ready to sail. HT’s were designed by Pat Patterson for safe passage anywhere in the world and at least 4 have circumnavigated. 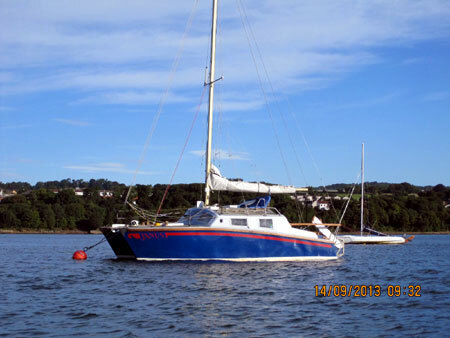 This catamaran (constructed by Armada/Cornish yachts) has had three owners: 1991-1998, 1998-2006, 2006-present. Launched 1991. Many improvements have been made by the present owner. Interior head- and side-linings and carpets all (except small aft cabin) replaced 2012. Engine completely rebuilt by J. Armstrong Engineers Ltd. 2015. New prop shaft seals and cutlass bearings fitted 2017. Raymarine wheel autopilot fitted 2011, NASA depth sounder/speed log and wind sensor all fitted 2010. VHF radio and Navtex-pro fitted. Erbenspacher diesel powered blown air heating. Engine calorifier for hot water. One very large double cabin aft and one single cabin aft, large saloon with horseshoe seating around table which converts to a large double or two single berths. A very large galley area with gas cooker/grill/oven, a sink and cold box, has ample storage space. The spacious heads area has a sea toilet and a holding tank (currently disconnected). There is a sink with shower both supplied by a whale water pump and hot water from the calorifier. There are two large water tanks, one in either hull. There is a separate navigation area. Being the later model the HT27 had increased headspace and two stoop throughs connecting the main saloon with the two aft cabins. 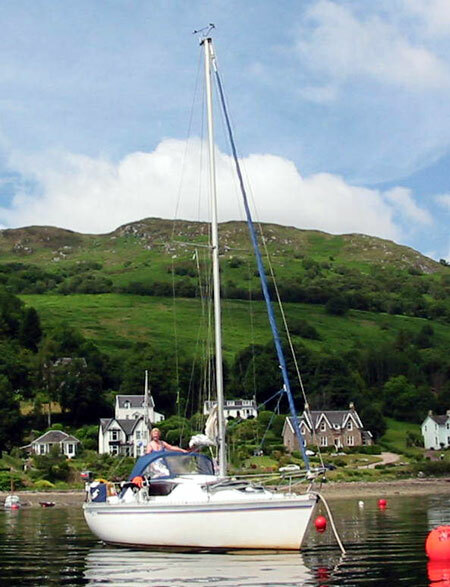 Fully battened mainsail (35 m2) with canvas cover and a roller furling 150-170% Genoa. Kyocera 45W solar panel, twin batteries, electric control panel for all lighting and 12V power. Mast deck light. A 22lb Danforth anchor with chain in forelocker and a 25lb Delta anchor with warp on roller aft. Various warps and safety equipment included. Details: LOA 26’ (7.93m), LWL 20’ (6.10m), Beam 8’0” (2.44m), Draft 4’6” (1.37m), Displacement 2.6 tonnes. Four berths. GRP hull, built 1969, white topsides, grey decking, 10hp Bukh B10ME inboard diesel engine. Equipment: Mercury 5hp outboard, VHF/DSC radio, Eberbächer heating, LPG cooker, 2x tiller pilots, GPS, 2x deep cycle batteries, radar reflector, cradle, Porta-Potty toilet, beaching legs, bruce anchor, loads of storage. Eider (formerly known as Flying Bowman) lies on a drying mooring in South Queensferry harbour. Eider is an easy-to-handle sloop with good windward performance. 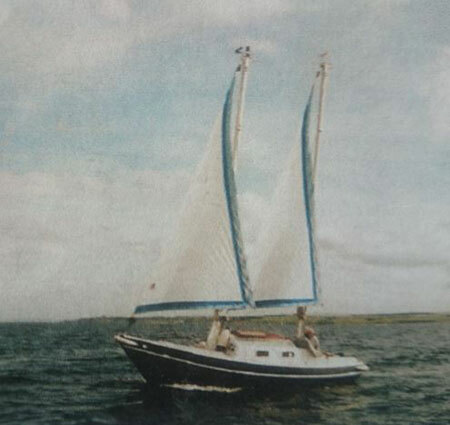 The Folkboat-derivative long keel provides excellent course holding and she can easily be sailed single-handed. Electrics and wind gauge need attention. 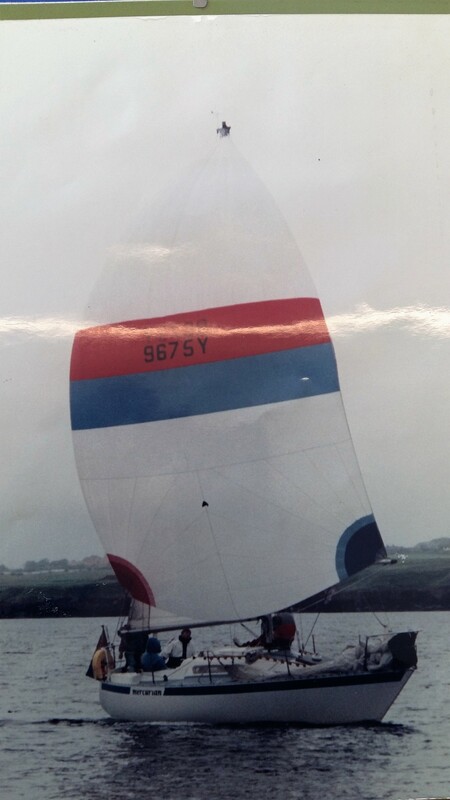 COLVIC SALTY DOG 27ft 1980 "LOUISE"
Bermudan sloop, transom stern, bilgekeeler. Lister Petter two cylinder diesel inboard. Designed by Robert Ives (Boatbuilder) Ltd.
A light small family cruiser, easily driven and responsive. Three berth layout with galley space and built in sink. 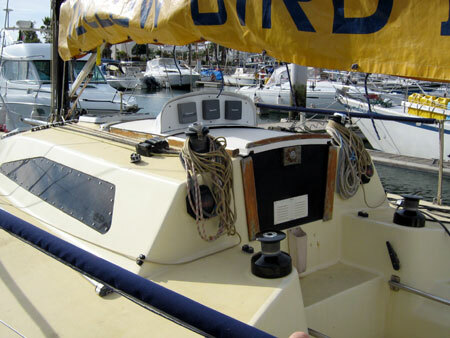 Self draining cockpit and roller reefing. Year of build not known, presumed early 1970s. Presently lying Upper Forth Boat Club yard, Haney's Way, Grangepans, Bo'ness. "or any other committee member". 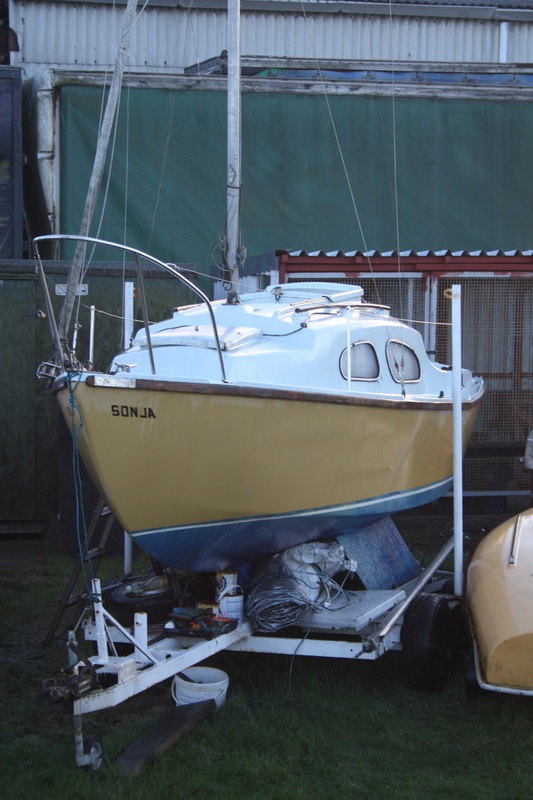 Abbot boat, race ready, good sails, excellent road trailer,fitted winter cover. Quick boat on the water with a great history. 36ft Alfred Mylne Bermudan sloop built 1961. Five berths in two cabins with further two removable bunks. 2m headroom in main cabin. 2011 survey giving good report. Inboard Volvo diesel recently rebuilt. New mast this year. Winches chromed and rebuilt. Sails in good order. Recent spin tech roller reefing system. Reupholstered interior 2014. Can easily be sailed single handed. On swinging mooring in Granton Harbour. 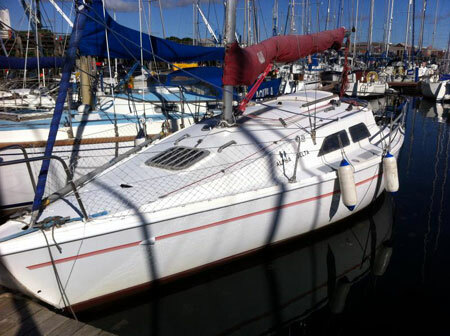 This boat is ideal for east coast sailing. She has been set up to sail single handed. Complete with Tennamast Cradle and inflatable dinghy. The Dufour 31, designed by Michel Dufour, is a successful cruiser from the early years of Dufour Yachts. Around 450 Dufour 31s were built between 1974 and 1983, when production ceased. As with many of Michel Dufour’s designs, the Dufour 31 combines sailing performance, space and looks. 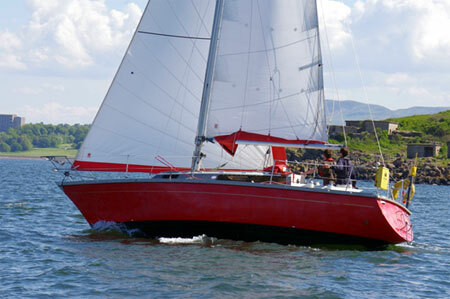 She sails beautifully for most needs and has a heavy build and gentle motion. Down below she has space usually found on larger boats and all the facilities and equipment you need for extended cruising. Full details available to be emailed on request. Vessel is currently moored at Granton, Edinburgh. She has an open plan saloon, giving a light and spacious feel to the interior; She has a separate double aft cabin & heads compartment. The Delta is a stable and seaworthy boat designed by David Thomas and built by Hunter Boats. Ideal for family cruising or club racing. 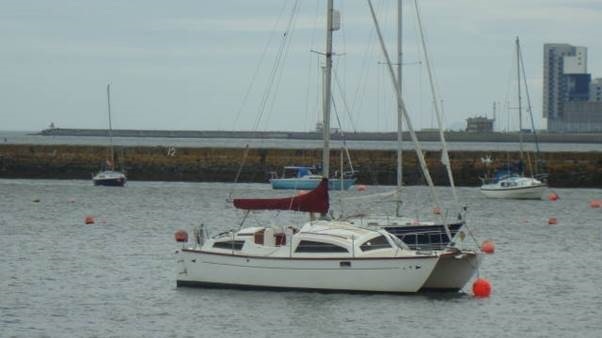 Lift Keel enabling choice of mooring options and cruising those creeks others cannot reach but with a full draft of 5' giving excellent sailing performance and passage making abilities. Spacious,safe cockpit; decks fully Treadmaster covered. Very comfortable,safe vessel. Would suit young family. 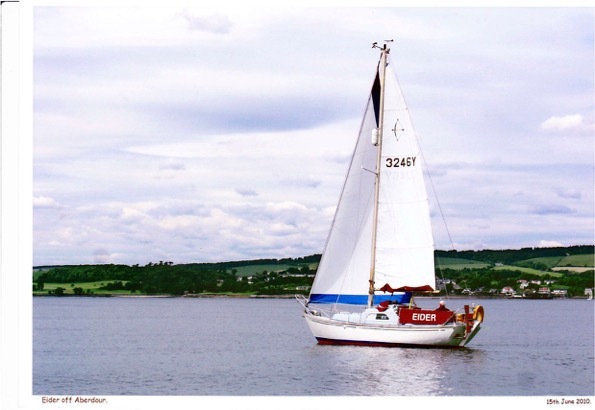 On Shore during winter at Dalgety Bay Sailing Club. On Moorings during season. Classic Scandanavian power cruiser from 1984. 23 feet by 8. Excellent hull shape and handles very well. Mercruiser 4.3 EFi (200hp) professsionally rebuilt 2012. New outdrive recently fitted, also professionally. Four berths, V shape settee in saloon, double cabin under cockpit, separate toilet compartment with sea toilet, all with standing headroom. Cooker with 2 burners, grill and oven. Large hood. Anchor, chain, warps and fenders. Four wheel road trailer. Good condition.Two sailing rigs.On excellent road trailer with spare wheel. John Bean 0131 339 2843. 2. Lewmar 10kg Delta Anchor with 10m chain and 30m warp.- £85. Items can be collected at Linlithgow or Port Edgar. Looking for small sailing boat to keep me afloat until I "swallow the anchor"! 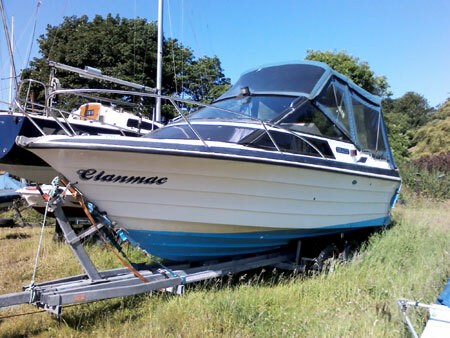 Ideally no larger than 25ft and with an inboard reliable engine. Money and marina berth burning a hole in my pocket!!! 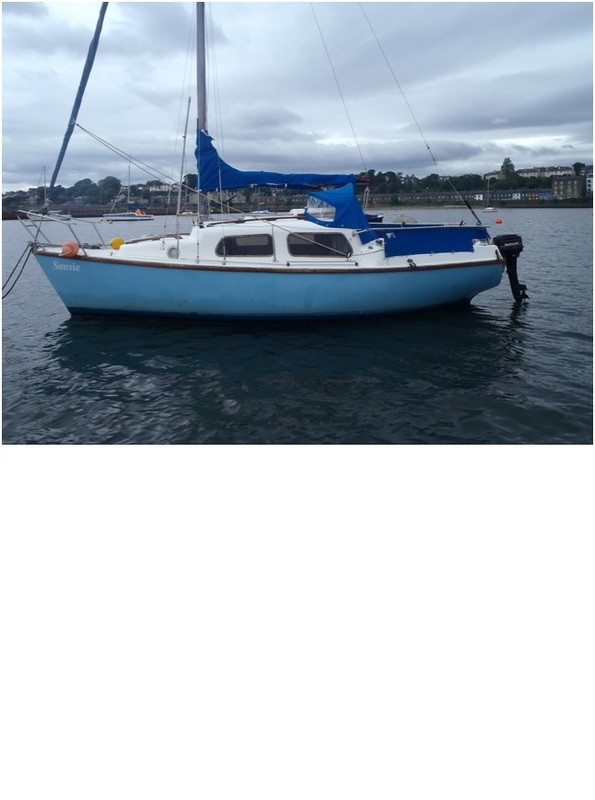 I am looking for a winding handle for a roller reefing system on a Pandora International 22. Guess what happened to mine??? I would even like to borrow one and have it copied. Advertising Rules This facility has been produced for the benefit of the users and is non-profit making and is operated freely and without obligation to anyone. 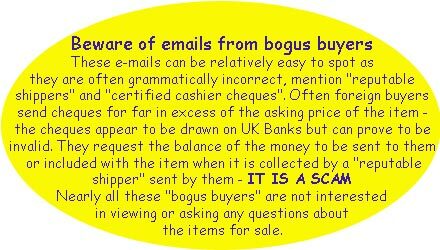 The primary purpose is to advertise items for sale privately from individuals in the sailing fraternity. Items included on this list may be submitted using the input form which is available as indicated below and on several other pages or details can be emailed direct to and the operator reserves the right to accept advertisements or otherwise. N.B. Advertisements will be deleted automatically after a year or earlier if requested by the advertiser.